Asian food. Dinner only. 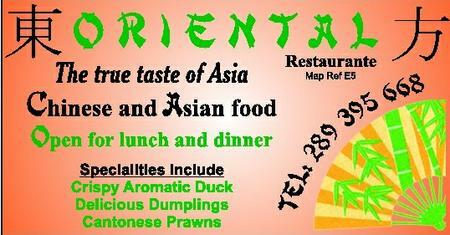 Specialities include Crispy Aromatic Duck, Delicious Dumplings and Cantonese Prawns. The history of Chinese food is an interesting one. Unlike many cultures, the Chinese believe that the preparation of food is an art not simply a craft. Chinese food, and the way it is prepared, is very much influenced by the two major philosophies which influence the entire Chinese culture: Confucianism and Taoism. Both of these philosophies have influenced the way that the Chinese people cook and the way that they enjoy their food.